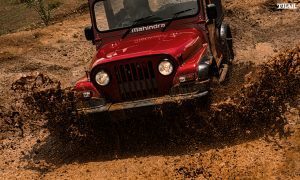 The latest iteration go the Mahindra Thar now comes with only the 2.5 litre CRDe motor which produces 105 bhp of peak power and 247 Nm of torque. 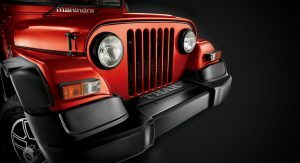 Mahindra kept the trademark classic jeep design, but with a more refined engine and more comfort and style. 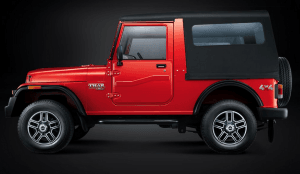 The new 2015 facelifted Thar comes with minor Exterior and major Interior changes with the addition of a mechanical locking rear differential. If we talk about its Exterior there are a fair few changes that have been made to the 2015 model. 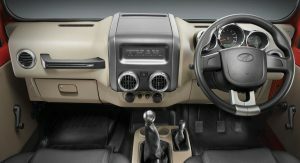 The enhanced exterior comes with a new front bumper which gets extra plastic cladding to comply with new Government regulations and a new rear bumper, muscular wheel arches , new clear lens headlamps for better visibility, redesigned side foot steps and a slightly revised canopy designed which is slightly raked at the back and new wipers. Let’s talk about Interiors. Compared to the outgoing model, the interiors look fresh and much more premium now with the dual tone finish and chrome highlights. 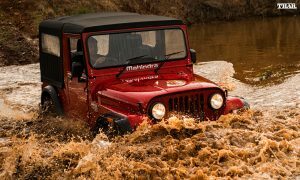 Mahindra has fitted the Thar with more comfortable and wider seats, New steering with better grip, new door trims, and an armrest. The A/C vents have been redesigned to look more classy and stylish. 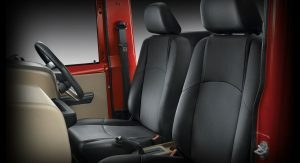 Other changes include cup holders, new windshield, new gear knob, 12V charging point. 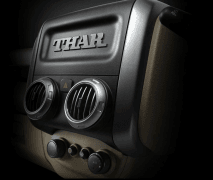 The new Thar also has a provision for a 2 DIN audio system and lockable glove box. 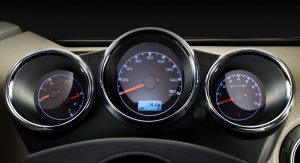 The new dials are easily one of the most attractive changes made to the Thar. 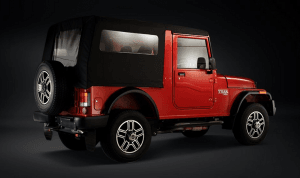 Despite the improved interior design and added features, the Thar fails to impress in terms of quality and fit and finish. 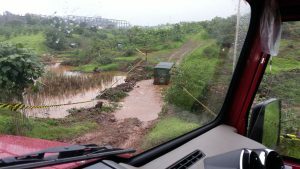 The plastic quality is not up to the mark and is very rough edges. The new 2015 Thar 4×4 CRDe gets enhanced off-roading skills with a 44 degree approach angle and 27 degree departure angle which is quite impressive. 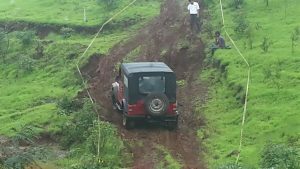 Its powerful 2,498cc CRDe engine with 105 bhp has enough punch for some serious off roading enhanced further by a ground clearance of 200mm. The good news for Off-Road enthusiasts is that Mahindra has kitted the Thar with a mechanical locking rear differential technology which engages automatically without intervention from the driver and adds to its go anywhere credentials. 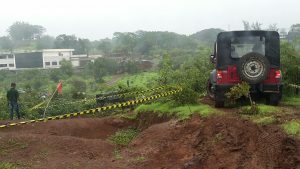 Out on Mahindra’s test track, the Thar performed well and it urges you to push it more and attack more challenging obstacles. 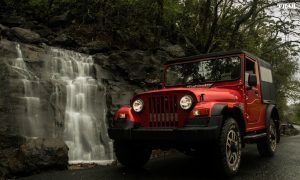 The engine is responsive with a good amount of torque which helps while navigating through sticky situations. 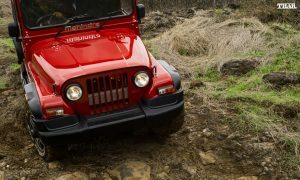 The new steering is easy to use and responsive enough for quick turns when off-roading. 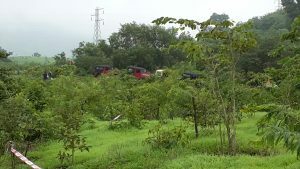 All in all, the Mahindra Thar does what it was meant to do quite well and is now much more usable as a lifestyle vehicle in the urban environment than before. Plus, the iconic styling is actually reason enough to buy for a lot of people. 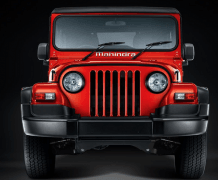 The 2015 Mahindra Thar is priced at INR 8.03 lakhs (ex-showroom, Nashik). 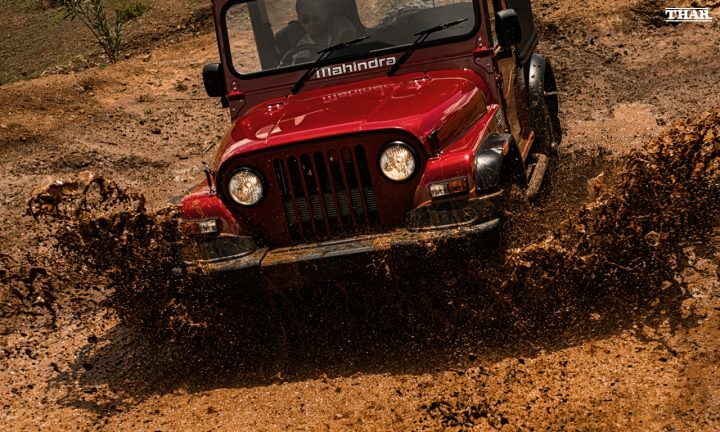 So what do you think of the 2015 Mahindra Thar Test Drive Review? Do let us know via the comments section below and stay tuned to CarBlogIndia for more news and reviews from the automotive world.